Spread out over the five hills of Kathlog, Potreyn, Terah, Bakrota and Bhangora, Dalhousie is popular hill station that was founded by Lord Dalhousie in 1850 as a summer retreat. Rich in colonial architecture, the town preserves some beautiful churches. A veneer of Tibetan culture has added a touch of the exotic to this serene destination. The cool climate of the town has a lot of summer visitors. Marvelous forest trails overlook vistas of wooded hills, water falls, springs and rivulets. In the distance, River Ravi meandering its course adds to the panorama. Mighty Dhauladhar ranges with perennially snow capped peaks complete the horizon. Attracted to the healing charm of the hill station, freedom fighter Subhash Chandra Bose stayed on for many months at Dalhousie in 1937. The spring water fed Subhash Baoli and Subhash Chowk are named after him. The town’s main markets – The Mall Road is a good place to shop for woollen Himachali shawls, Chamba rumals, traditional jewellery, Tibetan handicrafts and other items. Dalhousie when approached through Khajjiar is 46 km from Chamba and from another route it is 54 km. People engaged in tourism trade understand and communicate in English and Hindi. Being a hill station Dalhousie has pleasant weather in spring and autumn. In summer it does get a little hot and cotton clothing is most suitable. A summer storm is enough to lower temperatures, making the need for light woollens felt. 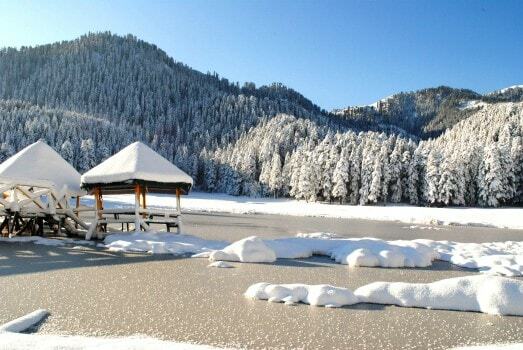 Winters are cold as the hill stations does receive heavy rounds of snow. Heavy woollen clothing is required to stay cozy. Air: The nearest domestic airport to Dalhousie is Gaggal Airport ( Kangra) which is 110 km away. Rail: Nearest train station to Dalhousie is Pathankot, 87 km away. Road: Dalhousie is well connected by road. Public and private transport services are available for Pathankot, Amritsar, Delhi, Shimla and other cities. There are regular bus services for Chamba, Bharmaur and other destinations. For customised travel, taxis are readily available. Parking Locations: Dalhousie Municipal Parking. 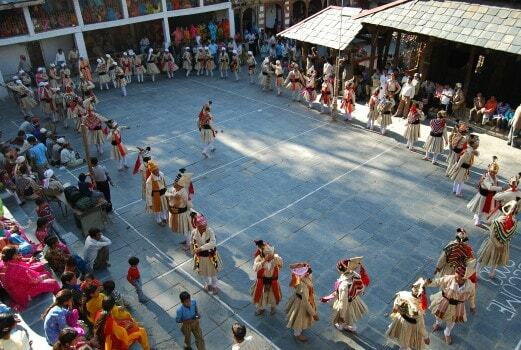 Dalhousie has many places of attraction in and around the city, which can be visited in a day excursion. There’s something for every kind of traveler which marks it as a popular destination. The nerve center of this beautiful town – The Mall Road, is the shopping and socializing hub of the hill station. One can buy souvenirs and memorabilia, craftwork, woollen shawls and Tibetan handicrafts. An evening stroll at The Mall can wear off the day’s stress. On Military Hospital road stands the St. Patrick’s Church, largest of all the churches in Dalhousie. Built in the year 1909, the dressed-stone building is in good condition. The church is at a walking distance from Gandhi Chowk. The St. Francis Church, a Catholic Church built in the year 1894, was made from the public contributions and that from army and civil officers. The church has some good stonework and the coloured Belgium glass facade is very beautiful. The chruch is at a walking distance from Subhash Chowk. The oldest church in town, St. John’s Church was built in 1863, has a chapel with nice paintings of St. Peter and St. John. The Protestant church possesses a library with a good collection of books about Dalhousie. At a walking distance from Gandhi Chowk, the church is part of the towns colonial heritage. A comfortable walk from the town’s main post office gets to this fresh water spring. Along the way are some panoramic views of snow capped mountains that has a lot of walkers take to the pathway. The Baoli (well) is named after freedom fighter Subhash Chandra Bose who for many months in 1937 stayed at Dalhousie. The guest house where Bose stayed during an illness and was cured by the medicinal water of the spring, now serves as a retreat. Scenic Panjpula, 6 km from Dalhousie, is a confluence of mountain streams whose waters are believed to have medicinal properties. Over these streams are five bridges built, giving the place its name. For the sheer sight of water flowing, it is a nice picnic spot. At Panjpula there is a memorial of Sardar Ajit Singh, a revolutionary freedom fighter who lived in town. On the way to Panjpula are the Satdhara Falls formed by the confluence of seven spring streams. These waters are said to have therapeutic properties. The waterfall is a place to be at during monsoon season in July – August, when the water gushes at its prime. The 5 km uphill walk to Bakrota Hill passes through the natural splendor of Dalhousie dominated by thick deodar, pine and oak forests wrapped in an morning mist, if you set out early. Dominating views of the township and neighbouring hills make the walk worth the effort taken to get up there. In winter, when the hills are under a snow cover, a overview from Bakrota is spectacular. Near the town, on the way to Kalatop, is the Bhulwani Mata temple at Bara Pathar. In July, every year, a fair is held at this scenic location that has natives and tourists partake in the festivities. Bara Pathar is only 4 km from Dalhousie. Some of the finest restaurants and places to dine are located on the Thandi Sadak and Garak Sadak in Dalhousie. Not to miss ones include Sher-e-Punjab Dhaba which is famous for its North Indian food and the Café Dalhousie restaurant that’s known for its South Indian and Chinese. Kwality restaurant is another dining option to be considered for its ambiance and fast food options. To enjoy a stay in Dalhousie, it is best to commute by walking through the pathways to all scenic spots that can be easily reached. Taxis are readily available for all places of interest. Public transport bus services are also available to most places. Dalhousie is equipped with good medical facilities. There is a government Civil Hospital, a Military Hospital and well run private clinics that meet the needs of tourists visiting the popular hill station. Summer is the best time to be in Dalhousie and Khajjiar. Spring breaks out in March and till June the skies are usually clear, temperatures are moderate that provide much relief to those escaping the heat of plains. Monsoon weaves a magic of curling mists that give a romantic setting to the boundless hills. Winters are cold and have a charm of their own. Experiencing a snowfall or enjoying a quiet evening by the warmth of a bonfire is a comfort worth being at the hill station for the season. All national mobile phone companies provide services in Dalhousie. Internet connectivity is good in town and at nearby tourist places. Minjar Fair, the main festival of Chamba, is held at the sprawling Chaugan ground in July/August. Celebrating nature’s bounty, the farming community prays for a good harvest by offering the first sprouting corn silk, locally called ‘Minjar’, to divine River Ravi for the occasion. The celebrations go on for a week. Stalls selling local crafts and produce are put up and for the evenings cultural performances that draw large crowds are held. The simplicity, grandeur and intense belief system of Bharmaur valley can be witnessed during the holding of the Manimahesh Yatra in August/September. This festival is held after Janmashtami. The Yatra is an arduous and difficult trek to the scenic mountain lake (altitude 4190 meters) lying at the foot of the commanding Mount Kailash at Manimahesh. At Bharmaur, 35 km short of the lake, the nomadic Gaddi tribesman hold a fair that goes on for six days. Often compared with Swiss mountain meadows, Khajjiar is a wide grassy clearing around a pond with a thick cedar forest. A few meters from the pond is the temple of Khajji Nag that dates back to the 12th century AD. 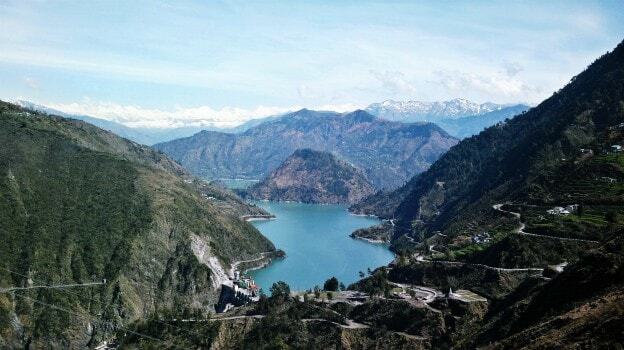 On the route from Chamba to Dalhousie, the lake of Chamera Dam backwaters have developed into a popular getaway. Water sport activities of boating, kayaking, canoeing, sailing and fishing are recreational and fun filled escapades to indulge in. To end a day one can sit back and enjoy the splendour of a sunset as the calm waters reflect vivid colours. The Chamera dam built on River Ravi is 25 km from Dalhousie. The temple of Chattradi is regarded as one of the holiest ones competing with well-known temples of “Lakshna Devi” at Bharmour and of “Bhawani” at Kangra. Some of its idols are believed to have been brought from far South or the State of Orissa. According to the inscription at Chattradi the temple was built by Raja Meru Varman, by whose order the inscription was engraved along with the names of his father, grandfather, and great-grandfather as well as that of the sculptor. This epigraph commemorates Meru Varman’s victory over his rivals with the help of the Devi. Chattradi looks most scenic during September and October. Even on other occasions, particularly in spring, Chattradi offers pleasant scenery. Overlooking the grasslands of Khajjiar, Dainkund is the highest mountain among the hills around Dalhousie. From an altitude of 2755 meters the views are wide and a photographer’s delight. To ascend to the mountain top, a diverting road from an intersection at 13 km from Dalhousie on the road to Khajjiar leads to Diankund peak. The higher hill range of Khajjiar forms the Kalatop Wildlife Sanctuary, ideal for trekking and excursions out into the wilderness. Sheltered wildlife found in the sanctuary are the Himalayan black bear, leopard, ghoral deer, monal pheasant and others. Summers are pleasant but winters can pound Kalatop with heavy snow that at times can pile to a heap of over five feet. Near Dalhousie, only 13 km from town, the reserve is a nice getaway for those seeking out a peaceful natural environment for a refreshing holiday.